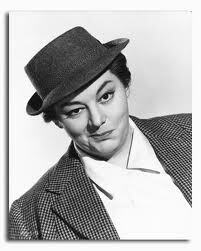 The most delightful character in Make Mine Mink is character actress Hattie Jacques who plays Nanette Parry. Her facial expressions are simply marvelous darling. I want to watch the film again and again just to study her facial expressions. This whimsical, funny and thrilling film is a must see for all. It is offbeat and hilarious. Terry Thomas at his best. The film is about how some unusual characters get together for bizarre reasons. The motif of the film sounds like something that might be tried today, which is to take from the rich and give to the poor…or your favorite charity. A British “B” film that is in your face humor with an excellent soundtrack that will make you laugh, giggle and spill your coffee. Satire at its best…yes…I would say so!! Lionel Spanager: [Speaking to his wife concerning his “barmy” mother-in-law] Why don’t you put her to sleep? Lionel Spanager: I mean take her to bed! 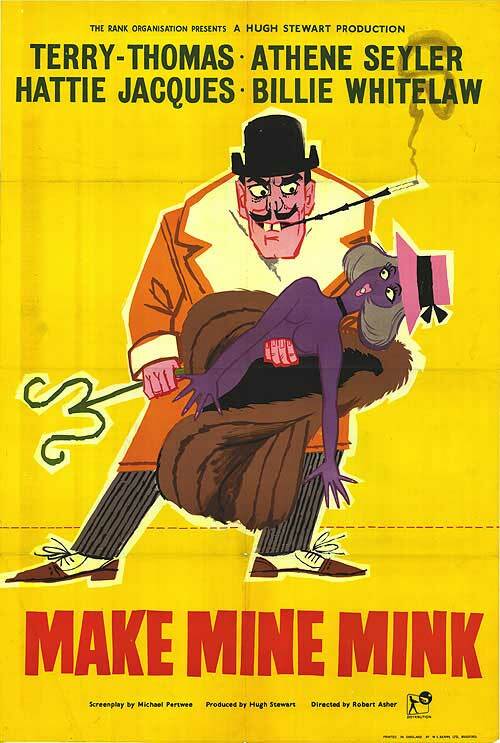 This entry was posted in Records and tagged 1960 English Films, A British "B" film, Alternative music, entertainment, facial expressions, Gore Vidal, Hattie Jacques, Make Mine Mink, Nanette Parry, Offbeat, postaday, Satire at its best..., simply marvelous darling, Subculture, Terry Thomas, Underground. Bookmark the permalink.